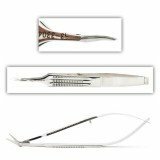 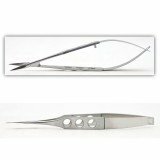 A typical cataract instrument set will include curved and straight Vannas Capsulotomy Scissors which feature a spring opening and slender blades (one sharp and one blunt) for intraocular precision, Westcott and Stevens Tenotomy Scissors, Mayo Dissecting Scissors, Lash Drape Scissors with angled blades and probe points, and various other types of scissors specific to the procedure and surgeon preference. 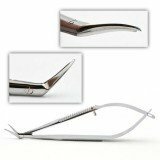 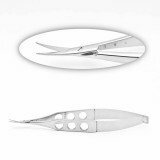 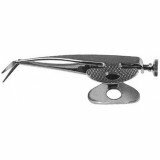 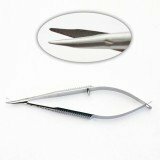 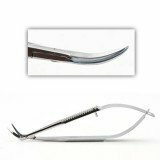 Conjunctival Sac Scissors are small, curved, flat scissors that are used to cut the conjunctive. 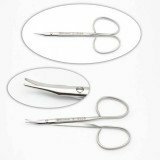 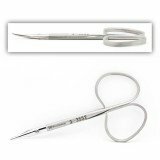 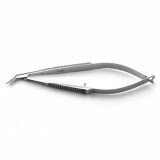 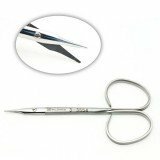 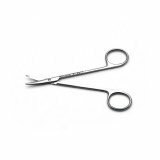 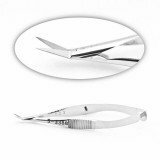 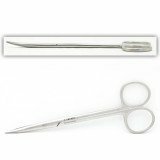 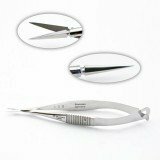 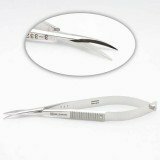 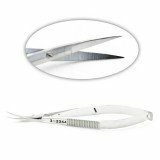 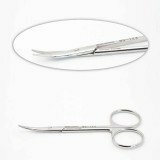 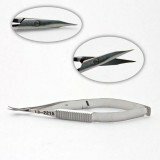 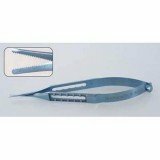 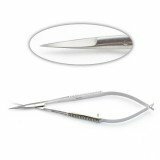 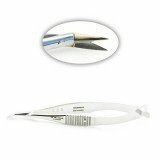 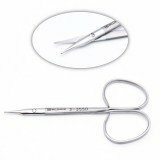 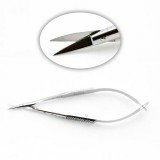 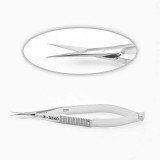 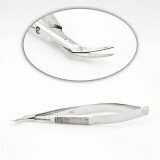 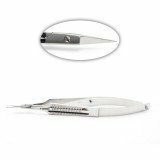 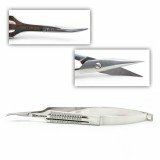 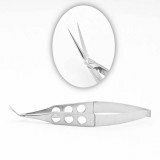 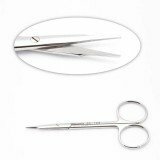 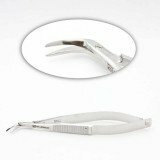 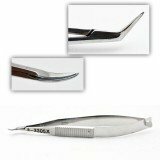 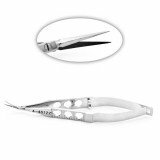 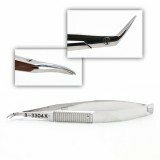 Spring scissors are often used for suturing, iris scissors (de Weckers) feature spring action and their small blades are ideal for intraoccular precision. 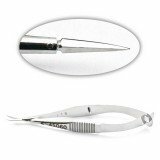 Enucleation scissors are thick and can be used to cut the optic nerve. 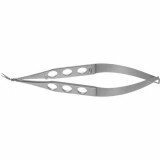 Vannas scissors are also used during sclerectomy and to form scleral tunnel incisions. 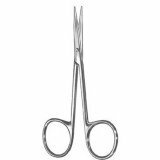 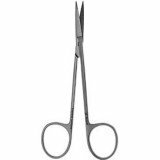 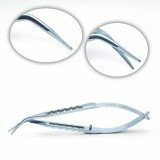 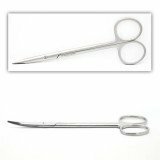 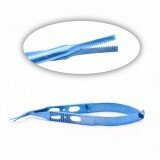 Stevens Tenotomy Scissor Ribbon Style Str.